Few things stir emotions as do allegations of domestic assault. The anger raised by such allegations is understandable. It must also be understood, however, that domestic violence is the criminal charge most likely to be based upon false allegations. These false claims are often made by parties attempting to gain some type of advantage in family law proceedings or to simply “get even” with an ex. 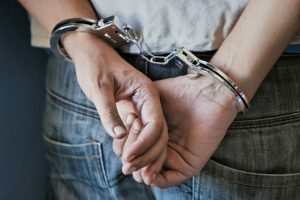 Texas prosecutors aggressively pursue such charges and it is important that Austin defendants retain a criminal defense attorney experienced in handling such matters. Dan Dworin is a lawyer assisting those charged with misdemeanor or felony cases involving family violence. Contact our office today to schedule an initial consultation. Texas divides domestic violence offenses into three different categories. First, “domestic assault” occurs when one commits violence against a family member, household member, or former romantic partner and the act did not result in serious injury. This offense will typically be charged as a Class A misdemeanor but will be elevated to a third degree felony if the accused has a prior domestic assault conviction or deferred adjudication. Second, “aggravated domestic assault” charges will be brought if the offense involved serious injury or if a weapon was involved. If the offense involved a deadly weapon and serious harm resulted then aggravated domestic assault will be charged as a first degree felony, otherwise the offense will be charged as a second degree felony. Finally, “continuous violence against the family” is a third-degree felony and occurs if one commits two domestic assaults in a twelve month period. These potential sentences are in addition to those imposed for other charges which a prosecutor may bring. It is important for the defendant’s attorney to file requests to exclude any statements which may have been taken by law enforcement in violation of the Fifth Amendment. It is also necessary to acquire any evidence which may help establish that the allegations are false. If a resolution is not reached then the matter will proceed to trial and counsel will need to be able to effectively examine all witnesses. A jury will decide guilt or innocence and, in the event of a conviction, a defendant has the right to elect that either the same jury or the judge decide punishment. Trial is a complicated process and the rules of evidence will be strictly enforced. A conviction for a family violence assault of any kind can have very serious consequences, including deportation for non-US citizens and loss of the right to possess firearms legally. One must retain counsel familiar with this process. Dan Dworin is an Austin criminal defense lawyer handling domestic assault cases and is certified by the Texas Board of Legal Specialization as a specialist in criminal law. Once retained Dan will file any necessary motions with the Court. These include requests to prohibit the introduction of statements taken in violation of an accused’s Miranda rights. He will also work to acquire evidence showing that the victim’s claims may be false; such evidence may include records from family court proceedings in which the victim may be trying to gain an advantage, cell phone records, email correspondence, and other evidence. Dan will aggressively represent you at trial, will make sure that your rights are protected throughout the process, and will ensure that you know what to expect as the process moves forward. If there is a divorce case pending, Dan will work closely with your divorce attorney (or recommend a good one if you don’t already have someone you are comfortable with) to attempt to ensure that the outcome of the criminal case does not adversely affect your rights to child custody, visitation, and the division of property. You are facing a serious situation and we will take it seriously. Contact our office online or by telephone today. When one is charged with a crime then they already have enough to worry about. Being able to contact their attorney should not be another cause for concern. Our attorney promptly responds to emails, telephone calls, and makes himself available to answer your questions. One of the most common complaints against lawyers is they do not stay in contact with their clients. Dan strives to be different in this regard. This is our promise in each and every case we handle. In addition to Austin our firm also services the cities of Rollingwood, Round Rock, Elgin, Jonestown, Manor, Bee Cave, Lago Vista, Sunset Valley, Lakeway, Creedmoor, Georgetown, Cedar Park, Leander, and San Marcos, Texas.